As we noted when we looked at the AMD Radeon RX 470 last August, the card lives in an awkward spot. As a stepped-down version of the RX 480 meant to rock the house at 1080p gaming, the RX 470 is a solid performer, but the list price is just too close to the RX 480's to justify buying it. When on sale, though, the card makes much more sense. 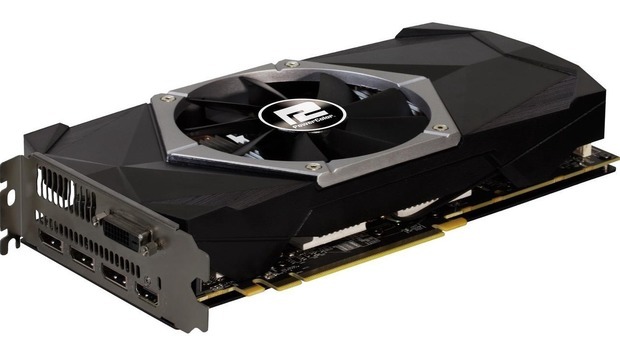 Today only, Newegg is selling the PowerColor Red Dragon Radeon RX 470 with 4GB of GDDR5 memory for $150, with the option of an additional $30 mail-in rebate for a final price of $120. The rebate comes in the form of a prepaid Visa or American Express card. If the PowerColor card doesn't strike your fancy, you can instead opt for an Asus ROG version of the RX 470 for the upfront price of $160. This card has a $30 rebate offer similar to PowerColor's that brings the overall price down to $130. Since these two cards are aftermarket models of the RX 470, they differ in some respects. Asus' card has an overclock mode speed of 1,270MHz, while the PowerColor has a 1,210MHz boost clock. For ports, the PowerColor offers one HDMI, three DisplayPort, and one dual-link DVI-D, while the Asus has one HDMI, one DisplayPort 1.4, and two DVI-D.
Once you've got your graphics card squared away, you may also want to investigate Micro Center's $200 sale price for the Core i5-7600K. The downside of that deal is that (as usual) it's in-store only.